Permanent oxidation hair color cream ammonia free, paraphenylenediamine free (PPD). The perfect combination between ecology and technology. Lasting color, perfect gray coverage, gentle action on the scalp. Deep respect for the hair fiber. 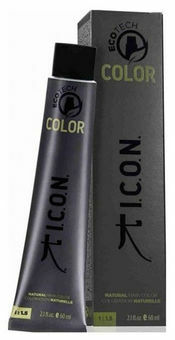 Provides maximum brilliance and gives lasting color over time. Nourishes hair until the next color service. Highly selective ingredients. The result is a visible, radiant color full of shine.